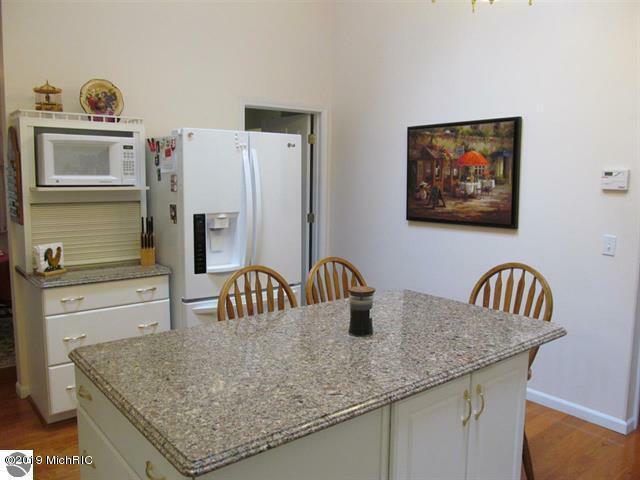 ''Private Stone Ledge Lake has a new property for sale with 109 foot of water frontage! WOW ! 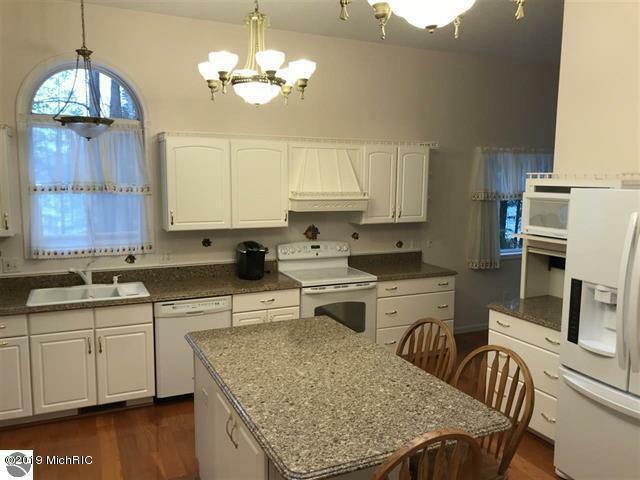 This lovely, spacious, 4 bedroom, 3 bathroom, house with a family room, breakfast nook, large newly renovated kitchen, separate dining room area, main floor laundry, full finished walk-out basement that has 2 bedrooms! Gas fireplace, newer appliances (that stay), hardwood flooring, solid surface countertops, master suite has jetted tub, shower and walk-in closet, plus the newer furnace with heat pump! 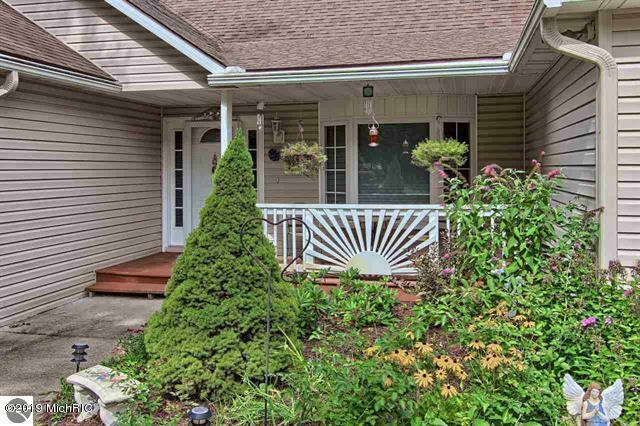 Nice landscaping, 2 Car attached garage, aluminum dock, sprinkler system, large deck with 'Sunsetter Awning'. Beautiful private setting on nearly 1/2 acre!! This home gives you a secluded feeling, with lots of hardwood trees in the backyard, and could be opened up to give a better view of the lake.The house sits in the private development section of the development. The property is located just 5 miles south of Cadillac. 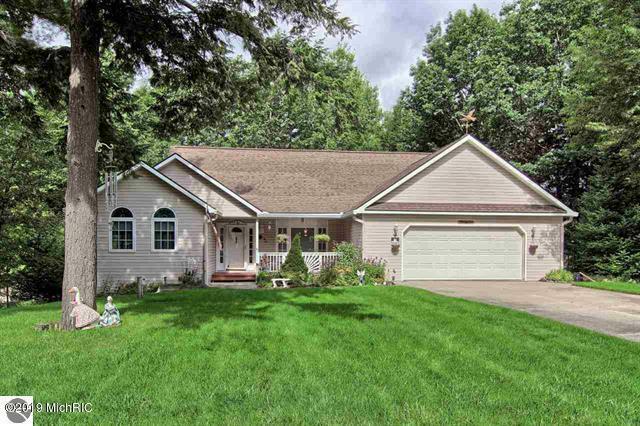 On Stoneledge Lake is Conservatory / Nature preserve! The island on the lake will never be developed as it is in a conservatory and hosts multiple families of Eagles, Loons, Deer, and many other water fowl. Stoneledge is a private all sports lake and there is a nominal annual association fee that helps maintain the roads and stock the lakes with different varieties of fish. Living is really Living at Stoneledge Lake, and it's located just 5 minutes from the city of Cadillac. You can't go wrong here. PUBLIC ADDENDUM... $150 per year dues pays for the snow removal and maintenance of the private road. Listing provided courtesy of Peter Nemish of Cb Schmidt - Cadillac. © 2019 MichRIC, LLC. All rights reserved. Information deemed reliable but not guaranteed. Annual Property Tax 3879.00 Association West Central Association Of Realtors Condo Project Name Bay Point Shores Income Property No Manufactured No Mineral Rights Unknown New Construction No Sale Conditions None Sewer Septic System Tax Year 2018 Terms Available CashCash/Conventional Utilities Attached CableNatural GasTelephone Line Water Well Zoning Res.